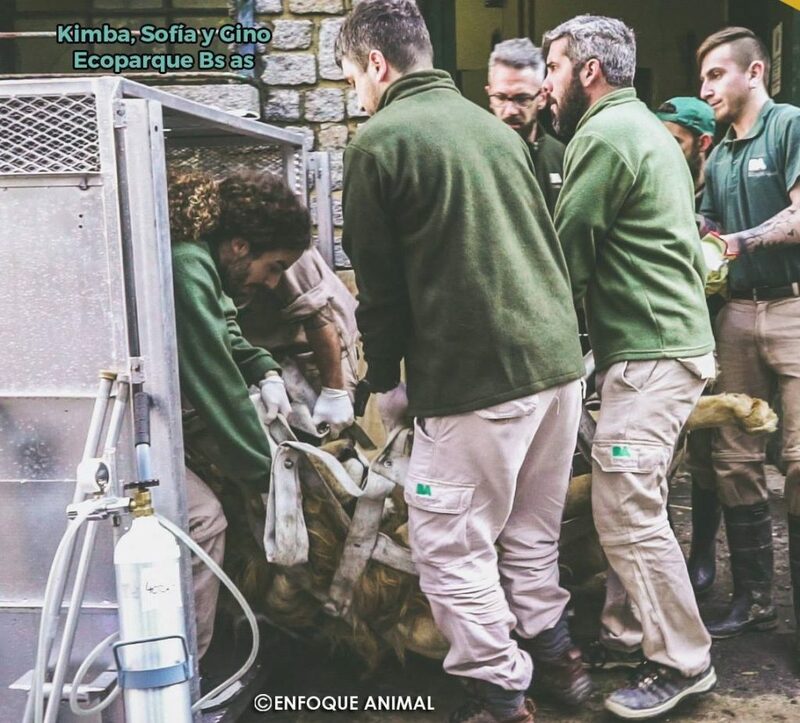 Kimba and his mate Sofia were born in South Africa in 2005 and then imported to the Buenos Aires Zoo in Argentina in 2008. Years later, they had a son named Gino. Arranging transport for Kimba and four other lions was a monumental undertaking. It’s never easy coordinating international rescues. There are so many authorities, agencies, and entities involved, all speaking a different language. Kimba and the others made the 6,000 mile journey and arrived safely. The sight of his mane blowing in the breeze as he ran into his new habitat is a sight we’ll never forget. 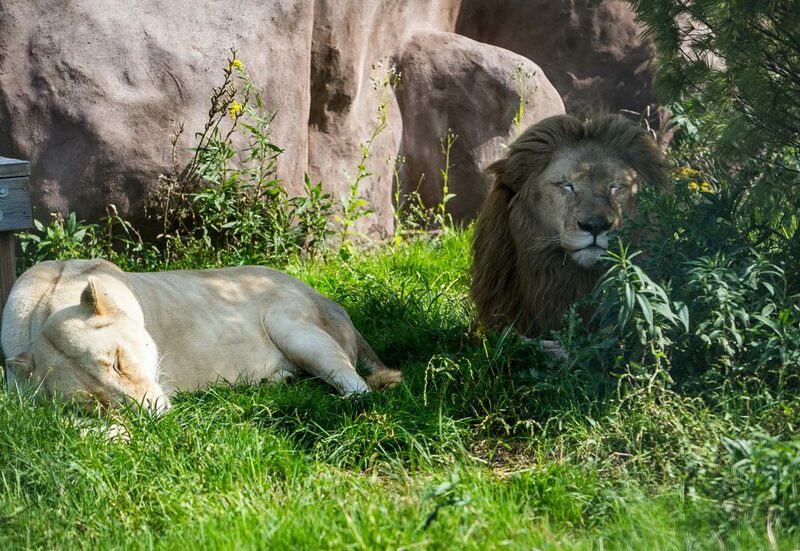 Once Sofia joined him, the two can be found lying next to each other, soaking up the sights of the trees, tall grass, and natural amenities all around them. What an epic journey for this lion family! It would be such a huge help to have you as Kimba’s sponsor parent. The day of rescue is only day one of a lifetime of care expenses. Find out how to Sponsor-A-Wild-One HERE.